How Does an ID Verification Scanner Help in the Functioning of a Liquor Store? 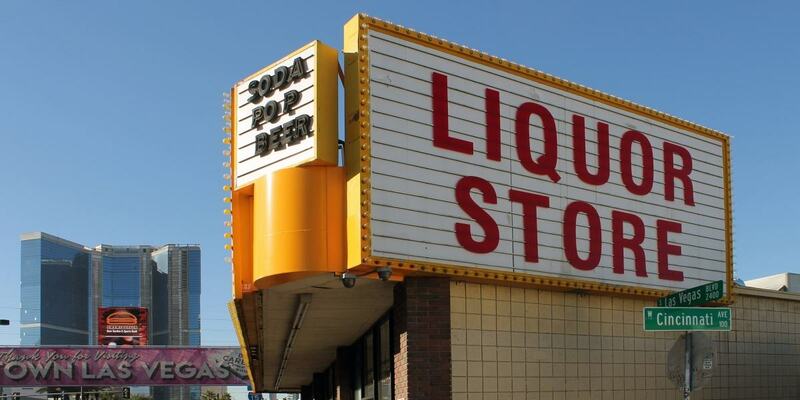 Managing a liquor store is no easy task and comes with its fair share of problems and issues. Lack of customer retention, out-of-stock inventory, and time-consuming record keeping tasks are just some of the daily problems faced by liquor store owners and managers. However, one of the biggest and gravest problems faced by people working in this industry is the accuracy and speed of age verification. Age verification is necessary for the liquor industry because most states in the US mandate that alcohol cannot be sold to individuals below the age of 21. It, therefore, falls to liquor store owners and managers to find a way to accurately and quickly determine the exact age of a potential customer before making a sale. In recent years, there has been a surge in the number of minors buying and consuming alcohol. This is made possible by the proliferation of fake identity cards, which are both inexpensive and easy to acquire. Moreover, fake IDs often work, particularly in liquor stores that still use manual age verification. A well-made fake ID is almost indistinguishable from a real one, particularly to the naked eye. Without a specialized ID verification scanner, businesses may inadvertently violate the law by selling alcohol to someone under the legal drinking age. While it is true that most shopkeepers and store managers try to prevent the sale of alcohol to minors, sometimes an error occurs, which might cause the store to lose its license and close down altogether. By failing to comply with the law, however inadvertently, liquor stores also run the risk of getting embroiled in a major lawsuit. The need to avoid lawsuits, abide by the law, and prevent minors from purchasing alcohol are just some of the major reasons why liquor stores should invest in a high-quality ID verification scanner. These scanners can be a major help for store managers and owners who want to provide better and faster service to their customers while complying with all the local and national laws. Time: Manual ID verification is an error-prone and time-consuming process. It might take a store clerk as long as a few minutes to determine the authenticity of an ID card. This delay will inevitably result in a long queue at the liquor store, which might negatively affect the level of customer satisfaction. It might even diminish a store's ability to retain customers. Installing a quality ID verification scanner can scan an ID card and verify its authenticity within a fraction of that time. It can also spot fake ID cards much faster. All of this together ensures that businesses can save a lot of time by investing in a good ID scanner. Moreover, these scanners can facilitate quicker service, higher sales, and higher customer satisfaction. Accuracy: The accuracy of the age verification technique applied by an alcohol retail outlet can make or break a liquor business. A minor error in effectively verifying the age of a minor customer can result in massive losses from lawsuits and even the closure of the business. Manual age verification is not just slow, it is very prone to error. It is hard to differentiate an authentic ID card from a fake one, particularly if the latter is well made. Store clerks and managers can sometimes make a mistake when trying to verify the authenticity of a card, particularly when there's a long queue waiting and they're in a rush. Investing in a quality ID verification scanner can ensure that any fake ID cards will be immediately discovered. As a result, the staff of the liquor store can focus on serving customers without having to worry about accidentally allowing a minor to buy alcohol with the help of a forged ID card. Cost: Buying a desktop or hand-held ID verification scanner is also far more cost-effective than employing people to manually verify ID cards. This is because most ID scanners are reasonably affordable. They also require little by way of maintenance. Once purchased, an ID scanner can be used in a liquor store for a number of years with very little extra expense. It may need repairs or replacement every few years, but apart from that, offers excellent value for money. ID scanners help the clerks and employees of the liquor store to enhance their speed, efficiency, and accuracy when scanning the IDs and driving licenses of potential customers. By using ID scanners, the store clerk can avoid errors and also protect their liability by allowing digital documentation of the transaction. Thus, ID scanners can make the process of ID verification easier and faster for the employees and more cost-effective for the business. These are just some of the reasons why liquor stores must consider investing in ID verification scanners for verifying the correct age of customers. This device will enable them to operate within the ambit of the law while enhancing efficiency and customer satisfaction.